5 Days A Week - Take It! In All The Industries. There Is A Class War. Don't Be A Slacker. This Is Your Fight, Join The One Big Union. Image of factory buildings and smoke stacks with I.W. W. logo. I.W.W. 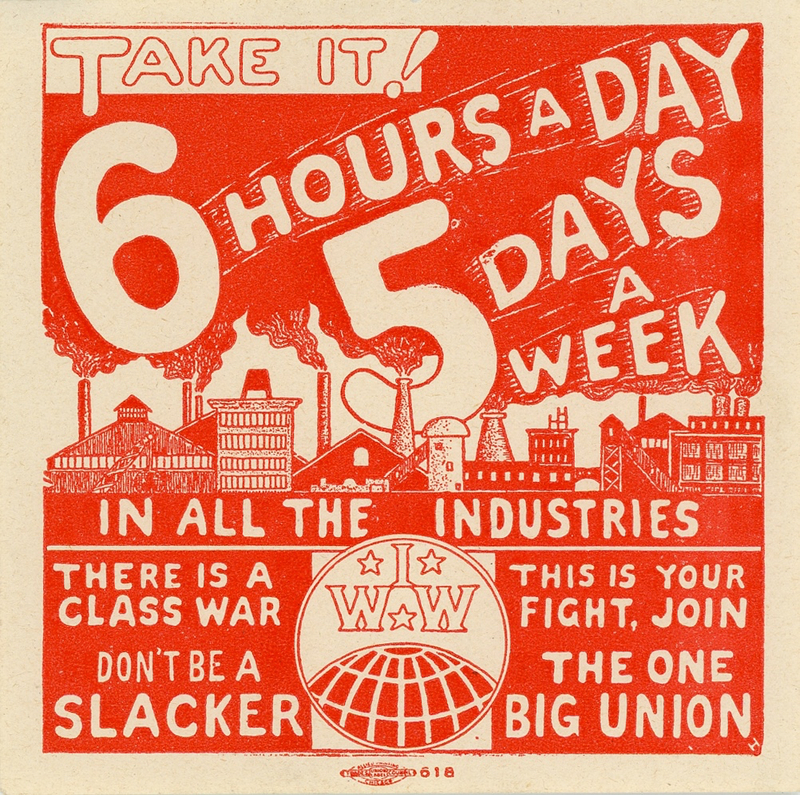 stickers were also known as "stickerettes" or "silent agitators."